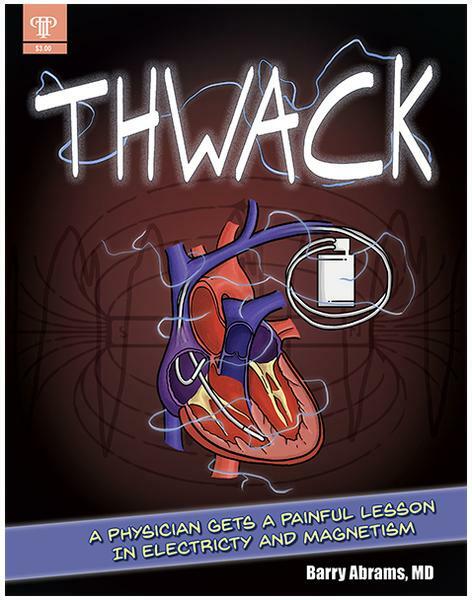 This is the story of a physician with hypertrophic cardiomyopathy being managed by an implantable cardioverter-defibrillator. In the middle of a snowstorm, he receives his first of many staggering shocks from his runaway defibrillator. Learning to live in this new reality includes learning to live with the strong magnet that blocks the defibrillator signal, much to his own chagrin and the amusement of others. The concept of physician as patient is nothing new. What is unique about this story is how I handled the aftermath of a runaway defibrillator and the hilarious events that subsequently occurred -- when I treated posttraumatic stress with a magnet. Names, characters, places, and incidents featured in this publication are either the product of the author's imagination or are used fictitiously. Any resemblance to actual persons (living or dead), events, institutions, or locals, without satiric intent, is coincidental. I wish to thank Beth Ginzburg for her original art and James Moriarty for his Photoshop work. They helped lay the groundwork for this publication. Copyright The Permanente Press. All Rights Reserved.